More than 4000 residents of Vunivutu Road in Labasa, are praising the new widen and sealed 700‑metre section road. 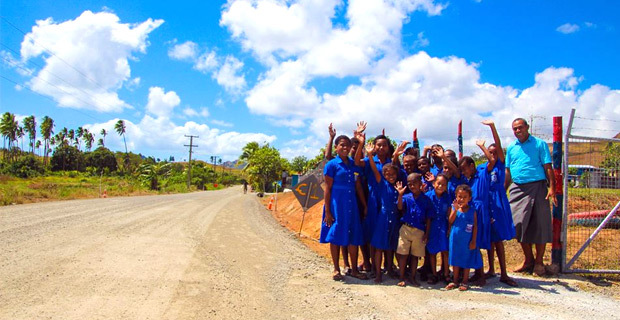 Vunivutu Primary School Head Teacher Alipate Matadigo says the work by Fiji Roads Authority is making a difference for school children. Vunivutu Road is located 30 kilometres from Labasa Town and serves more than 4000 residents who are sugarcane and root crop farmers. Matadigo says school children who often found it difficult to use the road when it rained now find it safe and secure. The work includes widening the road from three metres to six metres, as well as grading, compacting and gravelling with crushed rocks, followed by stabilising and sealing.